The Danish Gambling Authority regulates the Danish gaming market in cooperation with the Danish Ministry of Taxation and the Danish Consumer Ombudsman. This gaming commission is the regulatory body for monitoring land based and online gambling. The Ministry of Taxation is authorised with the registration of license holders, inspection of the entities and collection of gaming duties. The Danish Consumer Ombudsman also assists the Gaming commission. One of the new requirements of the new gaming act of 2012 is the requirement of logging in a player’s account with a digital signature that goes with the online registration form provided by the casino. The implementation of the Danish NemID is a requirement for gaming operators to continue to offer gambling on the Danish market per 1 January 2015. Therefore, players will have no other way to register and login besides with this NemID. The age verification principle requires players to be at least 18 years of age in order to participate in online and mobile internet gambling. Denmark offers two types of online gaming licenses: the betting license and the online casino license. The betting license applies for both land based and online betting. The license can be expanded to also include Greenland. Ones approved, the licence is granted for 5 years. The Danish Gaming authority does not impose any restrictions on the number of licenses. A land based casino license is valid for 10 years. The gaming commission imposes restrictions on the number of land based casinos. The last 2 licenses for land-based gambling are the land based gaming machine license (valid unlimited period) and the land based poker license (to offer public poker tournaments) which is valid for a maximum of two years. The country knows two online casino licenses. The betting license is for gaming companies that offer online sports bets. The online casino license is for internet sites that offer online gaming activities. The Danish Gambling only covers the following games: roulette, black jack, baccarat, punto banco, poker and gambling on gaming machines. Games that are 100 per cent based on chance such as lotto, scratch cards and bingo are not covered by the term online casino, as they are still kept under monopoly. Being a member of the European Gaming and Amusement Industry (EUROMAT), Denmark agrees to conduct their rules to improve responsible gaming, first adopted in Maastricht in 2007. The Danish Gambling Authority does not process complaints or disputes from players. In case of a complaint with a Danish licensee, the player must make the complaint at the address of the licensee. This licensee should do its best to process the complaint asap, always within 14 days. After this period, the player can contact the online gaming website in question to urge them to process the complaint and maybe alter their practises concerning the player’s complaint. 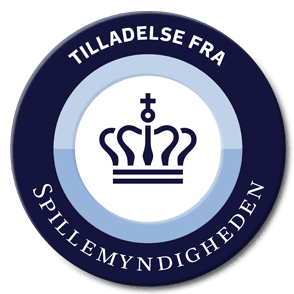 The Danish Gambling Authority cannot decide disputes between a player and an online casino provider. A player can however file a complaint to the Danish Consumer Complaints Board, where conditions and details are meticulously summarised. If the iGaming site does not hold a licence from the Danish Gaming Commission, the player should contact the gambling authority in the country where the licence is issued. The Danish Gaming Authority keeps a national register of voluntarily self-excluded players, the ROFUS. If a player wishes to voluntarily self-exclude, they can do so by clicking ROFUS, which is to be found on any gaming site’s homepage. Exclusion from one operator automatically means exclusion from all licensed gambling providers. A player can also register in ROFUS with NemID. A registration in ROFUS is binding, it is impossible to cancel registration. A player can choose a temporary exclusion or a permanent exclusion. In this last case scenario, the Gaming Commission is allowed to at least one year after your registration, delete the player. A remarkable rule in de new gaming act is that the chance of winning must be stipulated in a correct, detailed way, to ensure that the player is not mislead by thinking he can win more than actually is the case. With the new gambling act, the marketing of bonuses is also regulated: the online casino is obliged to ensure that all info regarding the terms of the bonus is stated clear and unambiguous for the player the fully understand. The bonus is to be paid immediately to the player’s account, after the player has met the requirements. And most importantly, the player always has 60 days to meet the terms of the bonus. The rest of the guidelines can be consulted at Guidelines from the Spillemyndigheden, aka the gaming authority in Denmark.